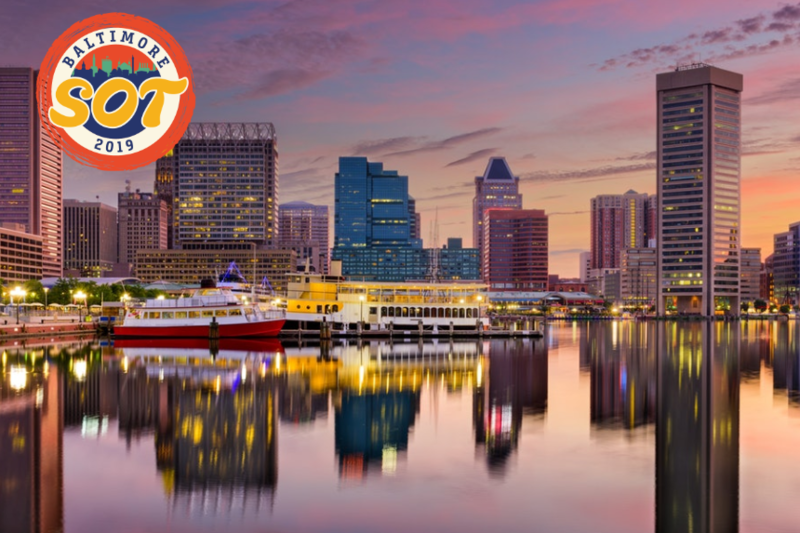 The SOT 58th Annual Meeting and Tox Expo was held March 10 – 14, 2019 in Baltimore, Maryland. It was the 30th anniversary of the conference and brought together scientists from around the world to discuss latest research and methods in evaluating toxicology. At the SOT conference, BioIVT launched the XPRESSWAY® Profile Safety Package, a compendium of 46 gene expression profiles for genes known to play pivotal roles in drug safety assessments. These 46 genes are included in the initial screening panel used by many pharmaceutical companies to evaluate new chemical entities (NCEs) for potential off-target interactions and toxic effects. Pharmaceutical companies routinely evaluate the binding and /or function of NCEs on these targets to determine their drug safety risk and make go/no-go decisions in their lead selection programs. Dr. Miranda Yang, Senior Scientist, Product Development at BioIVT, presented a poster entitled, “Demonstration of Hepatocyte-targeted siRNA Transfection and Gene Silencing in the Micro-patterned Hepatocyte Co-culture System (HEPATOPAC®)”. The poster describes a novel method to specifically deliver small-interfering RNAs (siRNA) into the hepatocytes in the HEPATOPAC co-cultures, by using a commercially available, non-liposomal transfection reagent that targets hepatocytes (PromoFectin-Hepatocyte). Upon the transfection of a fluorescent control siRNA, fluorescent signal was detected mainly in the hepatocyte islands, but not in the surrounding stromal cells. When siRNA targeting a cytochrome P450 enzyme was transfected in HEPATOPAC cultures, a time-dependent reduction in the CYP activity following transfection was observed. The results provide a proof of concept that the HEPATOPAC platform is amenable to hepatocyte-specific siRNA transfection and siRNA-mediated gene knockdown, which can be useful in elucidating the hepatocellular mechanisms in various research areas, aiding in reaction phenotyping assessment, as well as in vitro safety and efficacy studies for novel RNA therapeutics. HEPATOPAC cultures, formed using a proprietary patterning method, consist of hepatocyte “islands” surrounded with supportive stromal cells. This specialized architecture replicates the physiological microenvironment of the liver. Hepatocytes remain healthy and viable in the HEPATOPAC platform and demonstrate physiologically-relevant transporter function and phase I and phase II metabolic activity for over four weeks. HEPATOPAC models have demonstrated better in-vitro in-vivo correlations (IVIVC) than conventional hepatocyte models, especially for medium- and low-turnover compounds. BioIVT sponsored an exhibitor-hosted session at which Dr. Maciej Zamek-Gliszczynski, GSK, discussed metformin drug-drug interaction (DDI) studies. Metformin (dimethylbiguanide) was first used to treat type 2 diabetes in 1957 by Jean Sterne, a French physician. Metformin was introduced into the U.S. in 1995 after extensive research. Compared to most pharmaceutical agents, metformin is a unique molecule with unique pharmacokinetic (PK) and pharmacodynamic (PD) properties. Improper dosing can lead to diminished glucose-lowering effects or lactic acidosis. Under fasting conditions, the absolute bioavailability is approximately 50%-60% for a 500 mg immediate-release dose. However, due to its highly hydrophilic nature, metformin has poor passive permeability. Therefore, membrane absorption is low and dependent on the Organic Cation Transporters (OCTs) for uptake. Metformin is not metabolized and is excreted unchanged through Multidrug And Toxic Compound Extrusion Transporters (MATEs). Co-administered drugs that inhibit OCT and MATE transporters, can affect pharmacokinetic metformin plasma levels, yet the pharmacodynamic glucose-lowering affects may or may not be changed. In this session, Dr. Zamek-Gliszczynski presented in vitro and in vivo metformin transporter DDI studies to examine the effects of Famotidine on plasma exposure levels and the glucose-lowering effects. He concluded that because of metformin’s mechanistically complex PK/PD effects, a rational design for metformin clinical DDI studies needed to be performed on new molecular entities that may be co-administered with metformin.